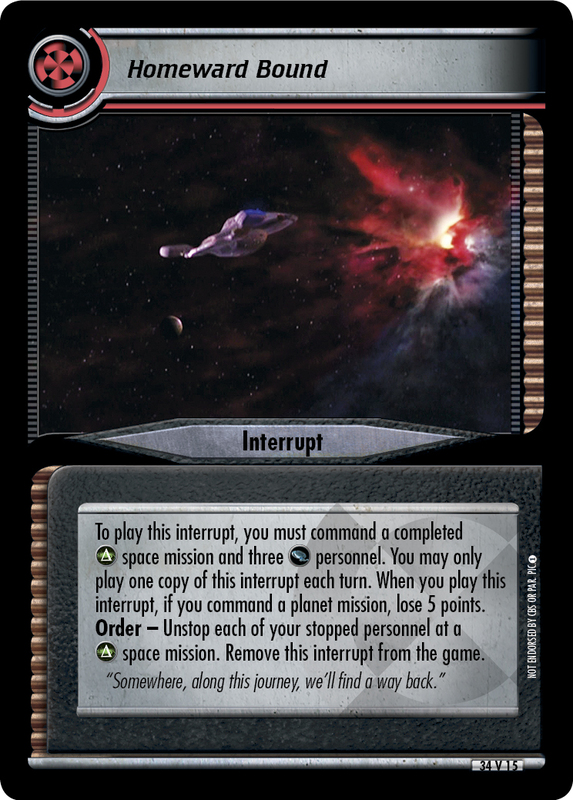 To play this interrupt, you must command a completed space mission and three personnel. You may only play one copy of this interrupt each turn. 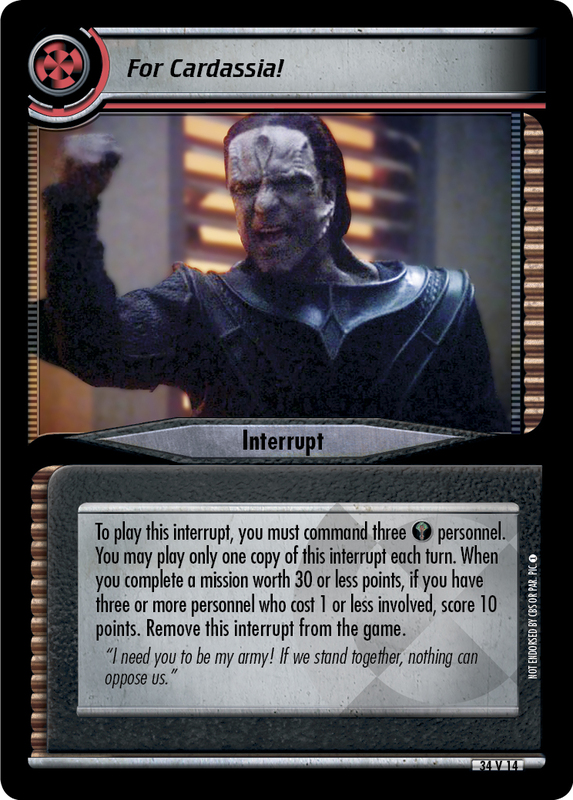 When you play this interrupt, if you command a planet mission, lose 5 points. Order - Unstop each of your stopped personnel at a space mission. Remove this interrupt from the game. "Somewhere, along this journey, we'll find a way back." 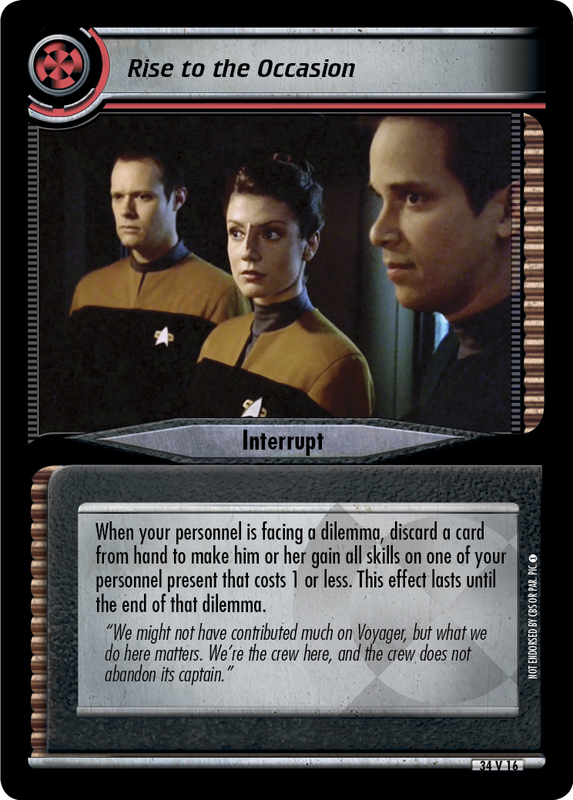 Errata'd on 2016-08-08: Errata adds a once per turn limit and commanding three [Voy] personnel has been added to the cost. Image Source: Voyager: "Opening Credits"